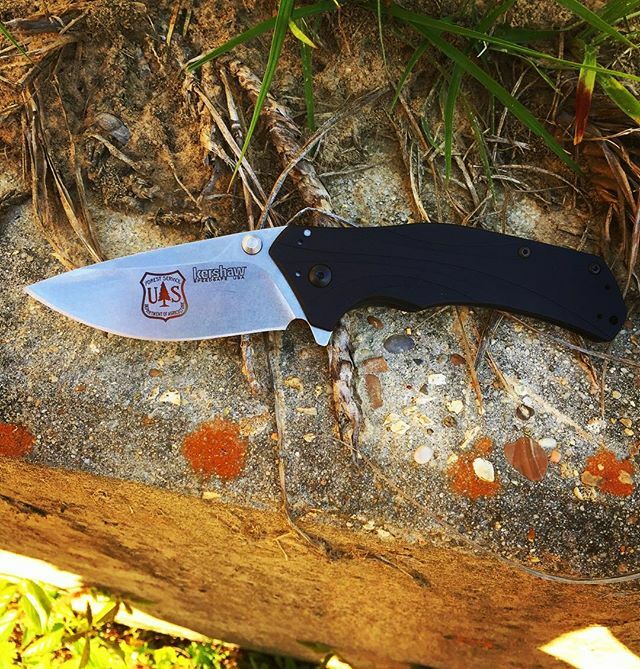 The Kershaw Knockout model 1870 knife is built upon a unique idea, to make a big knife that is light enough to be an everyday carry. This knife comes pretty close. The Kershaw Knockout comes with a modified drop point stonewashed Sandvik 14C28N blade that is large. The handle is all aluminum except for the framelock itself. The framelock feature of this knife is where the Knockout got its name. Kershaw literally knocked out a part of the aluminum frame and replaced it with stainless steel so the blade locks securely. Essentially what this did was lighten the knife substantially by not having to use all stainless steel on a framelock knife. 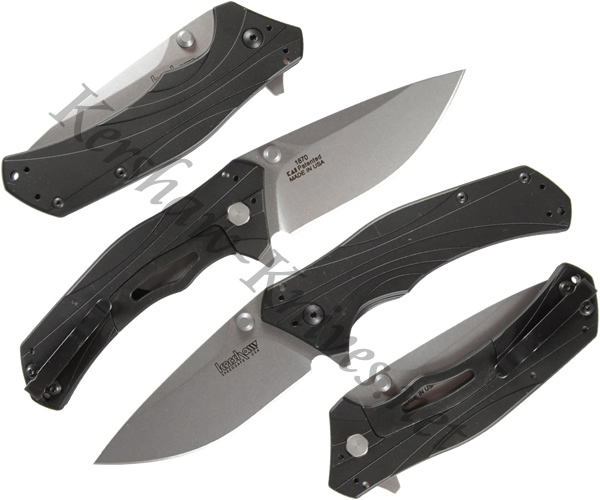 Then once that was done Kershaw added an assisted opening feature that can be activated using either the thumbstud on the blade of the flipper on the spine. The end result is a made-in-USA, big, light-weight,assisted-opening knife. We like this one.